Sautee onions and garlic with olive oil over moderate heat for 1 minute. Add splash of beef stock and bring temperature to medium. When onions garlic and beef stock start to sizzle, add the beef. Sear and brown outside of beef turning with tongs. When beef is seared, add beef stock until meat is just submerged. Reduce to moderate heat and cover. Stir every 20 minutes and add beef stock as needed to keep meat in juices. 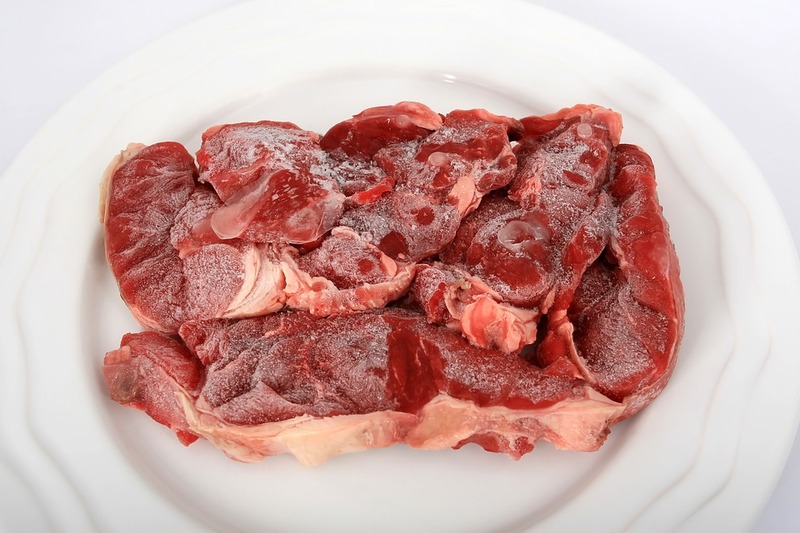 Cook for 1 ½ hours or until beef easily breaks apart.